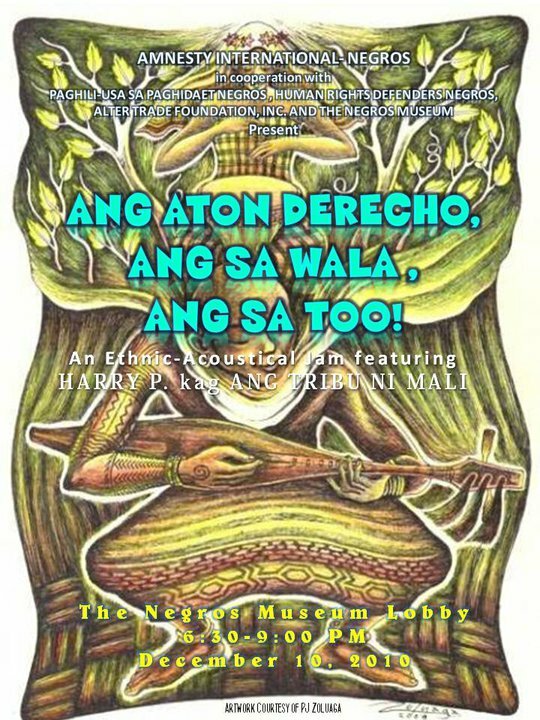 The Amnesty International-Negros is inviting all artists, musicians, peace advocates and interested Negrenses to come and join in a FREE concert entitled “ANG ATON DERECHO, ANG SA WALA, ANG SA TO-O!” on December 10, Friday, 6PM at the Negros Museum Lobby. 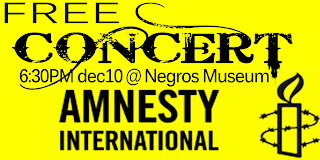 This concert will also feature an ethnic-acoustical jam with Harry P. and Tribu ni Mali, an Iloilo-based reggae band. Musicians and artists are invited to join in another jam session and performance at the museum. 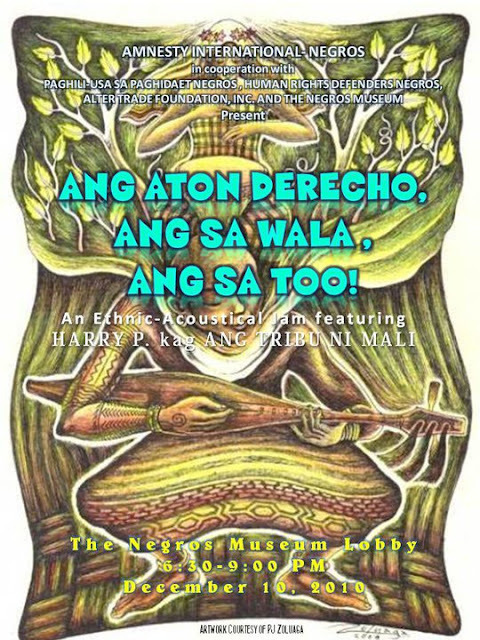 Amnesty International-Negros is partnering with the Paghili-usa sa Paghidaet Negros, Human Rights Defenders in Negros, Altertrade Foundation, Inc. and The Negros Museum for this event in commemoration of the Universal Declaration of Human Rights. 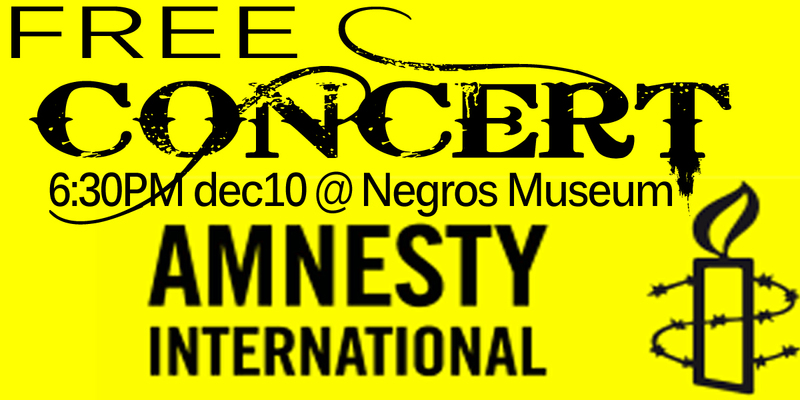 This event also aims to attract all artists and Negrenses to join in the cause of Amnesty International and to stand up for human rights in our society. The museum is becoming a hub for artists and musicians for different causes. Last November, the museum hosted a musical-cultural exchange and jamming with more than 30 local musicians of Israeli world performer Tal Kravitz in his musical tour of Negros Island brought by the Israeli Embassy. This is a free concert but LIMITED seats only. For those who are coming in as guests or performers, please call or contact 09173007742 and 4319451 for reservations.